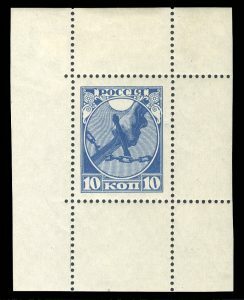 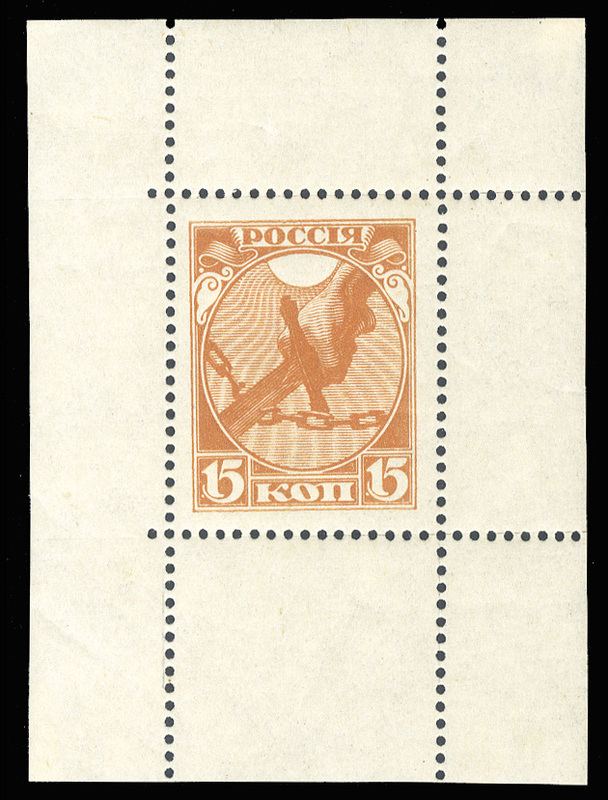 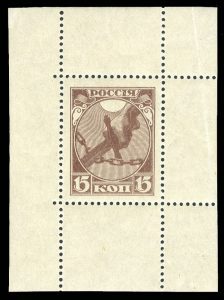 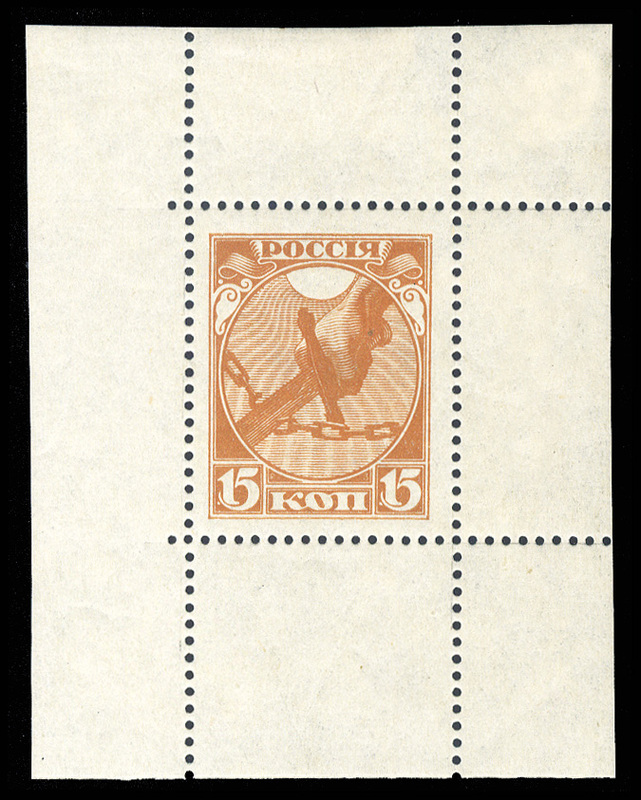 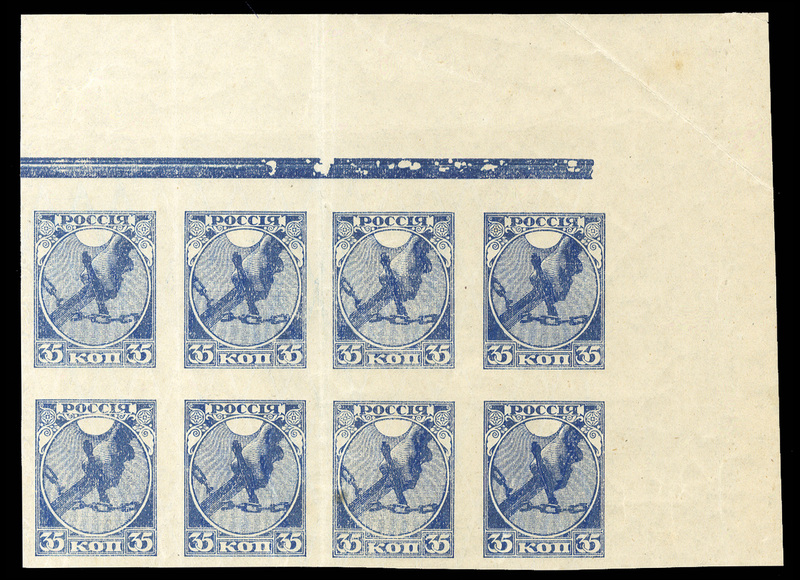 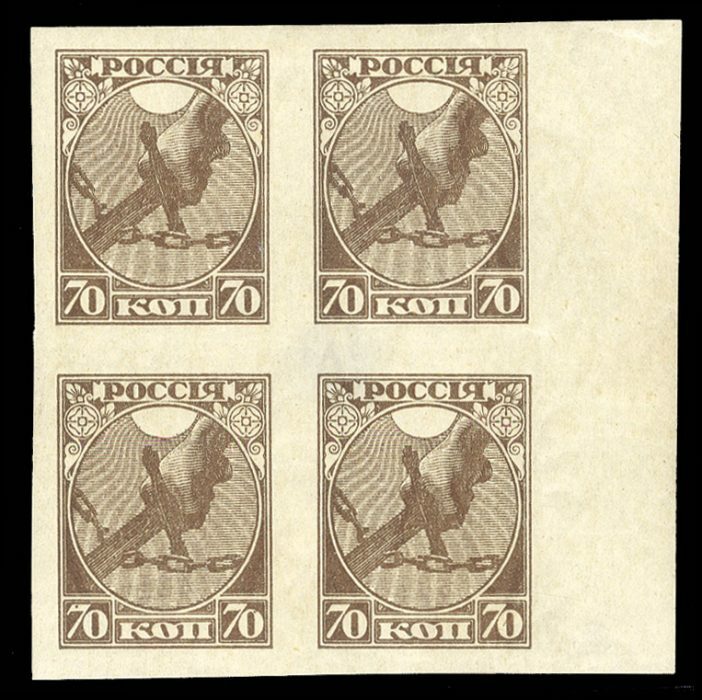 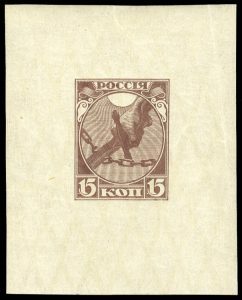 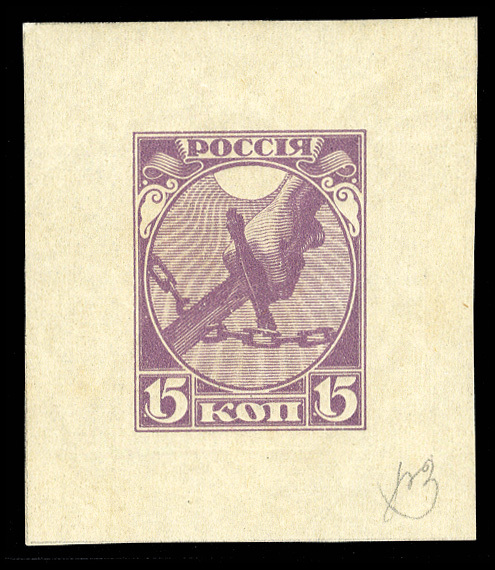 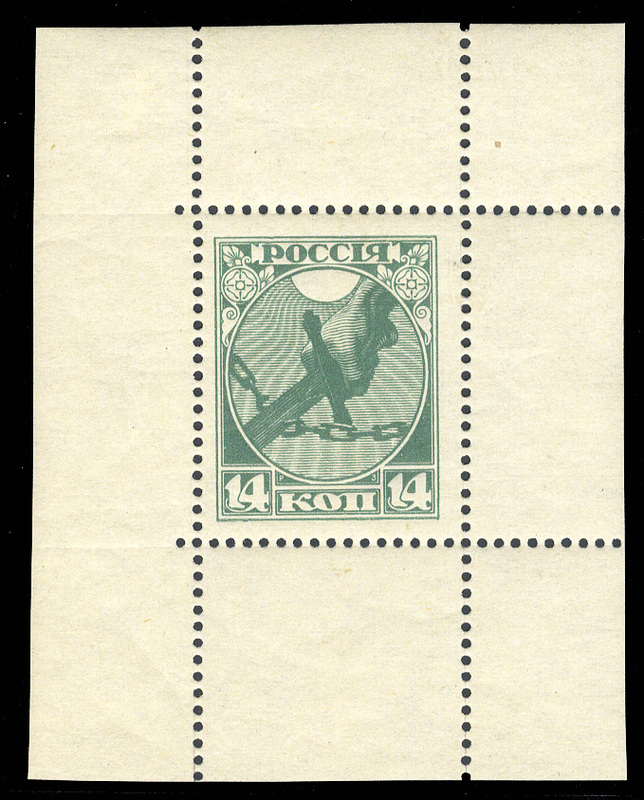 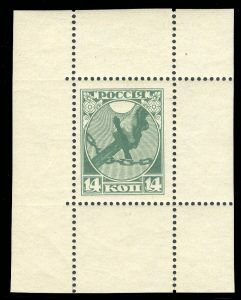 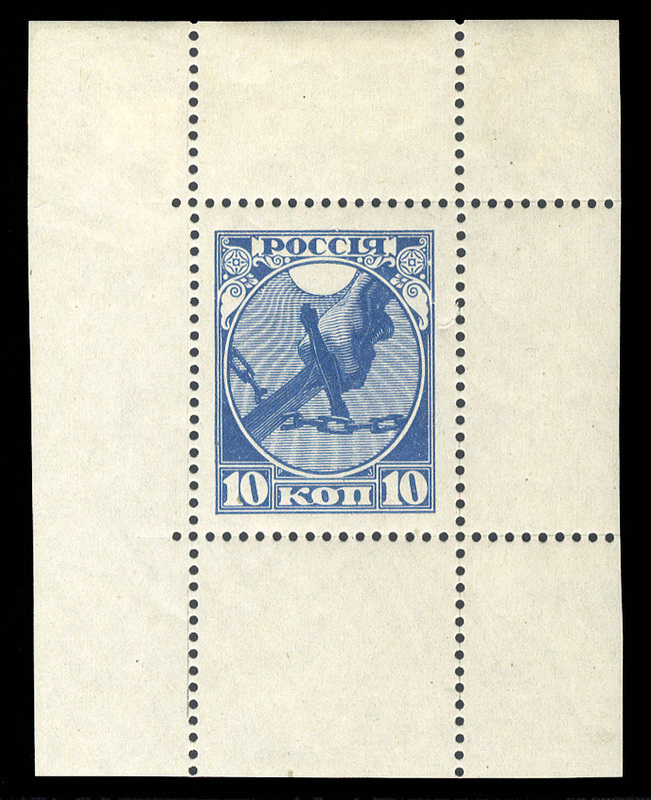 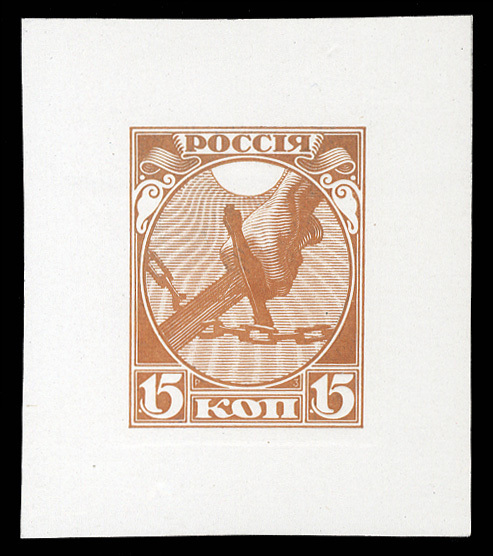 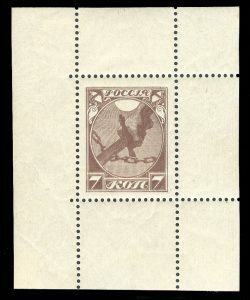 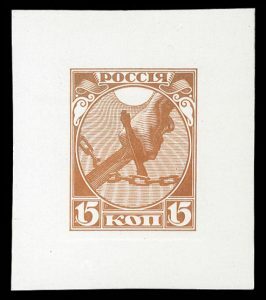 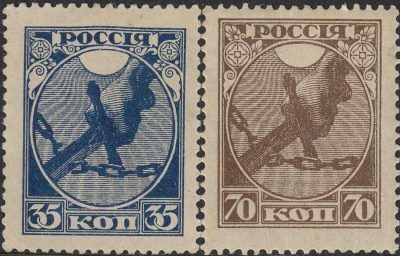 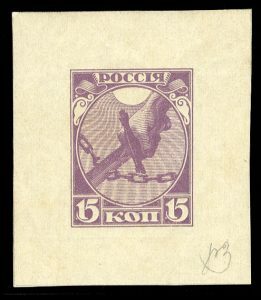 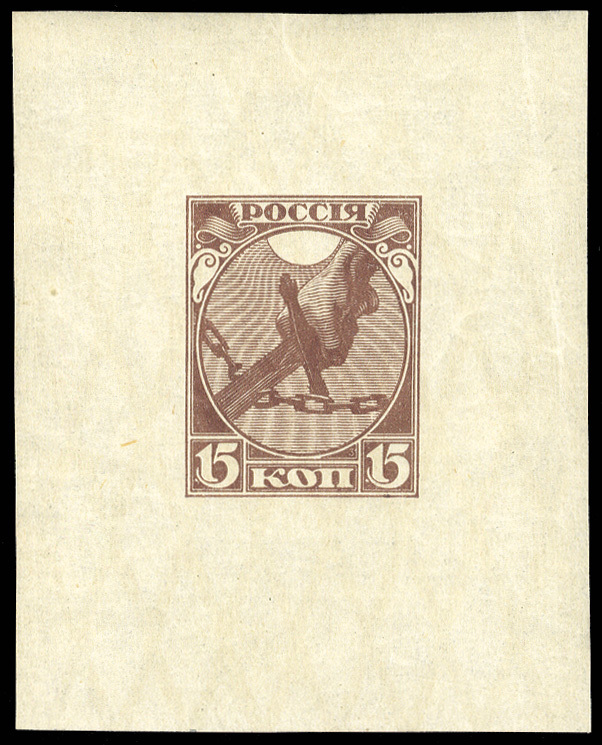 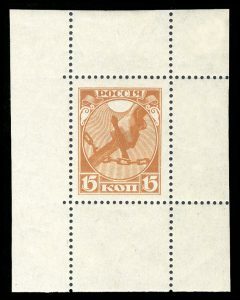 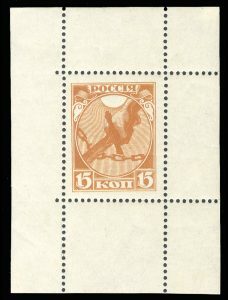 The set of two stamps (35 and 70 kopecks) were prepared by Provisional government, but were approved and issued under Russian Soviet Federative Socialist Republic authority. 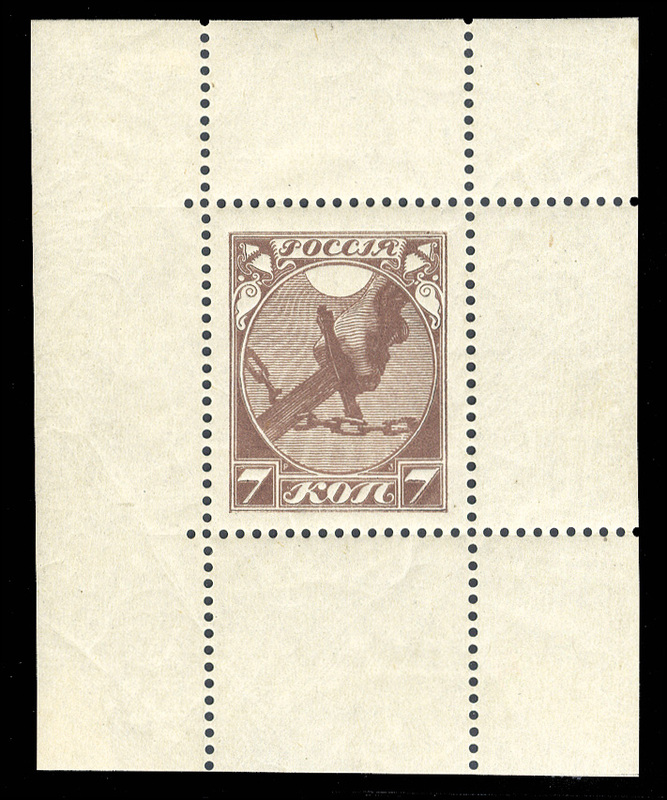 The stamps were issued on November 7 and had been in use during a short period due to the change of postal rates. 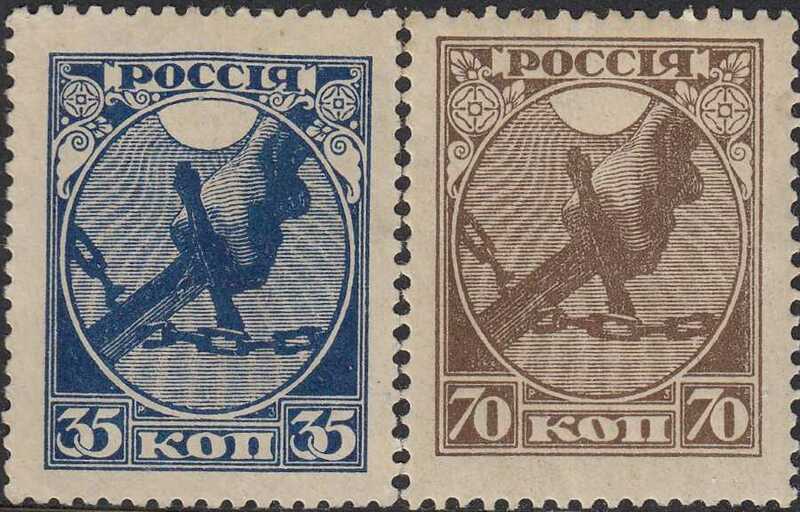 The forgeries and cancellations of both stamps are known and more valuable than regular stamps. 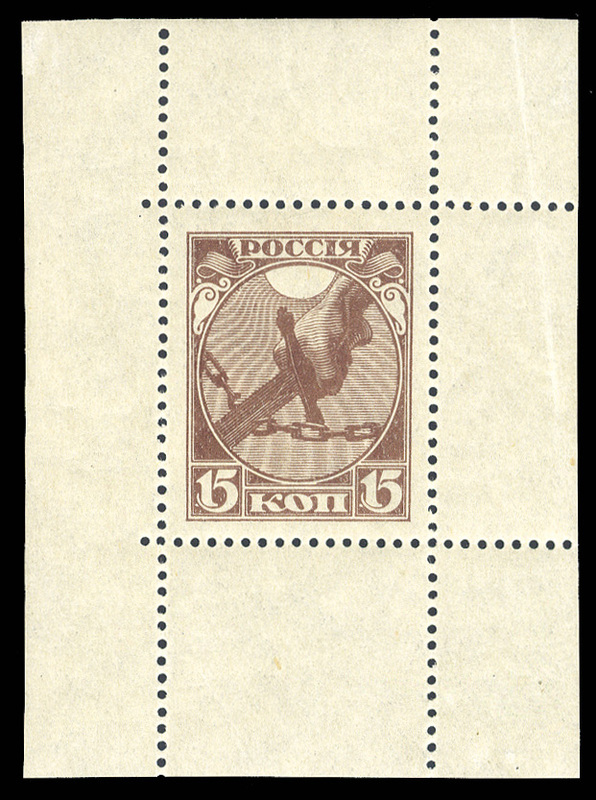 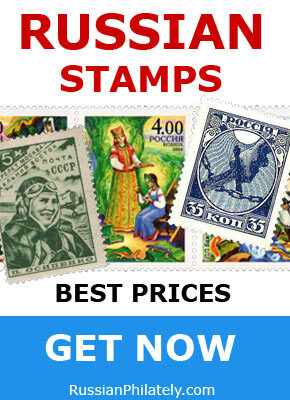 The proofs and essays of the first RSFSR stamps are extremely rare and may be sold for $5,000-$10,000 for each copy.